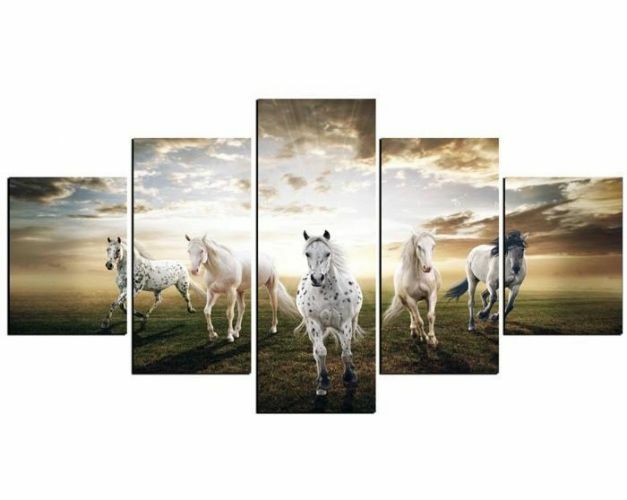 These custom designed Running Horse Modern Painting Canvas are a MUST HAVE! Designed with high-quality premium material! Showcase a reflection of your personality with this amazing Horse Design canvas Set! Designed with premium high quality material! Bring prosperity and great fortune to your home and give it a fresh new look with these HD printed Horse photo prints. These wall decors depict a balance of wisdom and power as the horse symbolize one's physical strength, vitality, and emotional ability to go on in life. The view of the waters also brings you into the present moment, and makes life feel more satisfying. Offer your visitors a focal point of interest as you welcome them in your living room or office.